Get a grip in style! 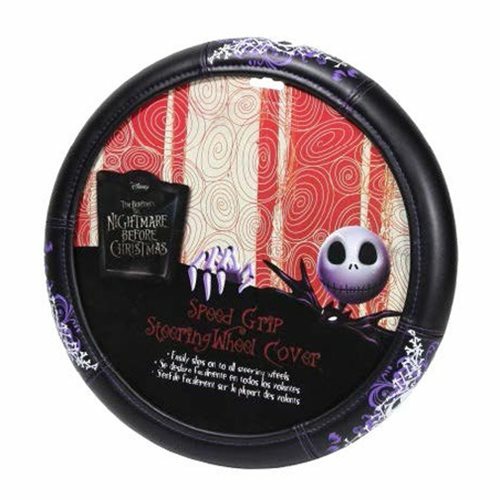 This Nightmare Before Christmas Bones Speed Grip Steering Wheel Cover features Jack amidst a bone and purple swirl design. Embossed for durability and style, the cover boasts a comfortable leather-like feel. The molded core stretches snuggly around the steering wheel in seconds on most cars, trucks, and boats. Measures about 15 1/2-inches x 14 1/2-inches. Ages 16 and up.